A range of children's mallets are now available. 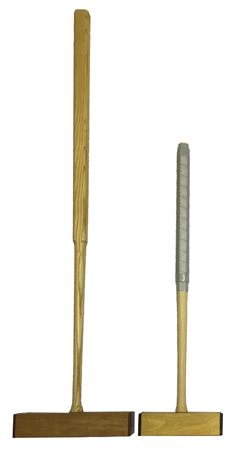 Made to the same exacting standards as the full size club mallets and to any size and weight required. All have ash handles, hardwood heads, sight line, SRBP end caps and various coloured handle grips. These mallets have also been successfully used by wheelchair users. Discounts available for orders of 5 or more mallets.